It has been forty-six years since I fought in Vietnam, and watching two movies rebooted my PTSD interrupting my sleep pattern. For years, I usually wake at least once a night and listen. However, since watching the movies, I wake every hour and listen to the night sounds. In Brothers, one of the two brothers, a captain in the US Marines, goes to Afghanistan on his fourth tour of duty and becomes a tortured and abused POW. After he is liberated and his captors killed, he returns home suffering from severe PTSD trauma. Tobey Maguire plays Marine Captain Sam Cahill and does a convincing job playing a veteran that is severely damaged by PTSD symptoms. Watching Maguire act his part reminded me of my first decade back from Vietnam when I drank too much and often woke once or twice and carried a loaded weapon around the house checking the doors and windows. More than once, when overwhelmed by a burst of anger, I punched holes in walls with fists. The anger comes fast—one moment you are calm as a rusty doorknob and an instant later an exploding fragmentation grenade. In the Valley of Elah, Tommy Lee Jones plays a father, who was also a Vietnam combat veteran, searching for answers to explain his son’s death soon after returning from Iraq. In this film, we see how war strips young men of their humanity—that thin veneer that comes with so-called civilization. From Brothers, I was reminded of the homeless Vietnam veteran I met in an alley in Pasadena, California one early morning. He had been a prisoner of war and similar to the character Tobey Maguire plays, was severely traumatized with PTSD symptoms. The VA rated the homeless vet I met in that Pasadena alley as 100% disabled by PTSD possibly explaining why he was homeless—not because he could not afford an apartment. The disability from the VA was more than enough to support him. However, most of that money went for drugs and booze for him and his homeless buddies. Then there was another vivid image of a Vietcong POW being tortured by South Korean troops during a field operation I was on. The South Koreans hung that Vietnamese POW by his heels from a tree limb and pealed the skin off his body while he lived. In the Valley of Elah reminded me of an ambush where a team of Marines I was a member of went out in a heavy rain at sunset and after an hour or so of slogging through the gloomy downpour, we stopped in a rice paddy with water to our necks and stayed there for more than an hour waiting for complete darkness before moving into position. We shared that rice paddy with a very large king cobra. In the Marines, one does not question orders—we do or die—so we stayed in that paddy knowing a king cobra was in the water with us. 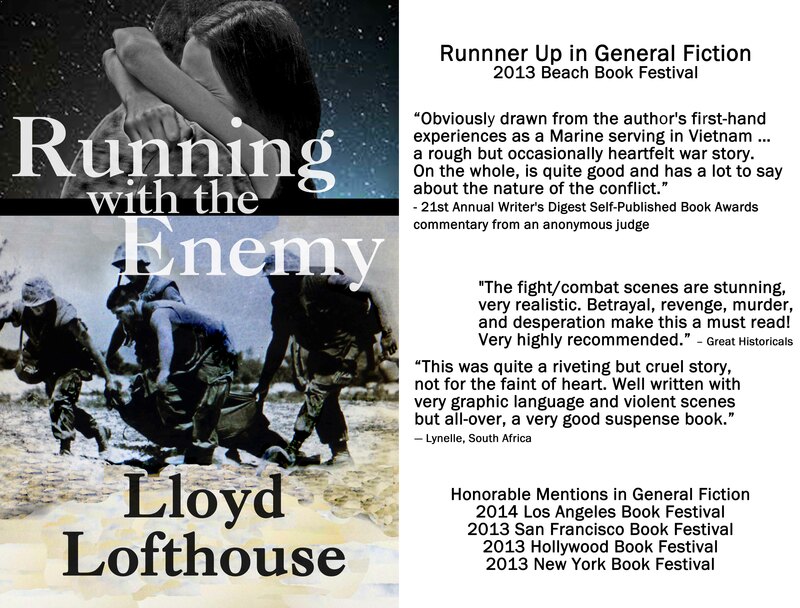 Both of these films are dramatic examples of what war does to young men and their families. Some combat veterans avoid seeing films such as these two. However, I do not. I do not want to return to that time where I avoided talking and thinking of my part in the Vietnam War, because at night when we struggle to sleep there is no escape. We cannot hide from the monster that came home with us living inside our skin as if it were an unwanted parasite. It was still dark when I reached Dr. Vessey’s house in Pasadena. It was late 1999 or early 2000. As sunlight leaked over the horizon, we drove to an alley behind a liquor store where the good doctor was going to meet with some homeless people he’d been helping. One of the homeless people was a Vietnam veteran who wouldn’t let the doctor near him. That’s why I was along—to gain the man’s trust. I was about to find out how bad combat induced PTSD could be when the VA considers a veteran is 100% disabled. Since the vet I was going to meet couldn’t be trusted to handle his VA disability check, his payments went to a pastor, who was his financial guardian. The pastor decided how much to give him when he came to the church asking for money. The VA disability was enough to rent a studio apartment, but this vet chose to live on the streets where he felt safer. His home was under a blue tarp hidden in some thick brush that lined the side of an empty lot. Later, the doctor drove me there so I could see it. This vet’s story of abuse was inhuman and tragic. He was a chopper pilot in Vietnam and was shot down becoming a POW where, among other things, he was sexually molested by the Vietnamese guards. I’m not sure I would have survived what he went through. Dr. Vessey and I arrived first. We parked the car and entered the alley to wait. The homeless people started to arrive one or two at a time until there were about a dozen. One even crawled out of the Dumpster behind the liquor store. The vet along with two women arrived last. We squatted in the alley and talked. I told the disabled vet my Vietnam story, and he said it was obvious that I’d been there. Then he opened up and told us his story. Before he finished, a helicopter (media or police—I’m not sure) flew over, and the vet surprised us when he yelled, “Incoming,” and leaped to his feet running toward what he thought must have been a bunker and safety—the back, brick wall of the liquor store. He ran into the wall and the sound of his body hitting the bricks was a sickening thud as if he were a side of beef being hit by a sledgehammer. He bounced off the wall and collapsed unconscious. We rushed to him and gathered around. One of the homeless women cradled his injured head in her lap. There was a thick, swollen contusion on his forehead. He had hit that wall hard enough to rattle the shelved bottles inside, and two men working in the liquor store came around the corner a moment later. They thought a car had hit the store. This vet would always be a prisoner of war.